When you're ready to relax after a hard day, consider a visit to the Grand InterContinental Seoul's Outdoor Café. Monday to Saturday from 5 p.m. to midnight, enjoy delicious charcoal-fire barbeque and quench your thirst with cool draft beer. 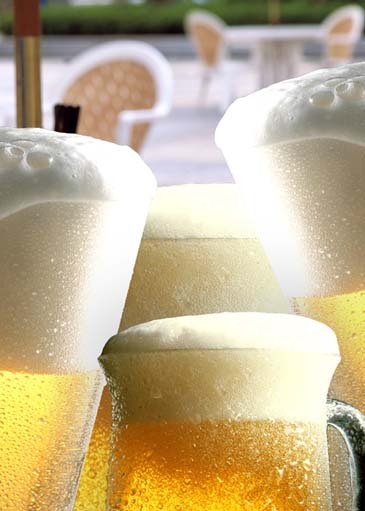 This summer promises to be a hot one, so our ice-cold beer and selection of appetizers and other menu items should be the perfect ways to end a summer's day, whether it be with friends, a special friend or business colleagues. Our menu selections range from Mongolian BBQ, chili nachos, BBQ pork ribs, German sausages and more.